When an author titles his book The Book of Jonah and alludes to the Biblical account of the unfortunate man swallowed by the “great fish”, a reader can rightly expect more than a passing relationship between the Biblical tale and the novel. 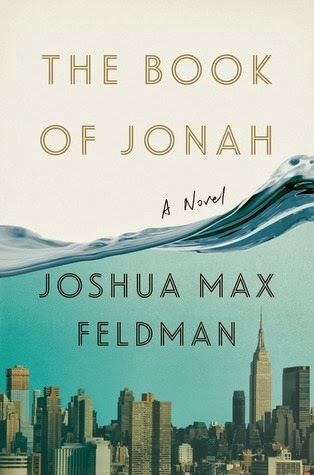 If the theme of the Biblical telling was a belief in a capricious God, unknowable and capricious, then The Book of Jonah by Joshua Max Feldman was right on point. Unfortunately, even this connection is mired down with long swatches of exposition, mostly unsympathetic characters and a meandering plot. Jonah is a young lawyer with a promising career. He knows the ins-and-outs, as well as the players, in the high-powered corporate law firm in which he works. His connections with his colleagues make him a sure contender to make partner. In addition, he has the perfect trophy girlfriend who would make a perfect wife, as well as a girlfriend on the side. His life is moving according to plan, until he meets a Hasidic man on the subway. The man asks him spiritual questions—and Jonah can offer no meaningful responses. Later, Jonah begins to have visions that lead him to a deeper understanding of his place in the world. Another thread of the narrative concerns Judith, a brilliant girl whose parents are later killed in the terrorist attacks on September 11. Her efforts to reinvent herself are at the heart of her journey. Later, she connects with Jonah and their combined efforts to understand the world and their place in it are the bulk of the rest of the novel. Though there were moments of brilliance in the writing and the author clearly has a deft hand a characterization, I found The Book of Jonah monotonous and self-important. I felt as though I was reading a book sure of its own brilliance, while simultaneously being bored to tears. Even to someone who has read the Bible (and the Book of Jonah) multiple times, I found the Biblical allusion difficult to follow and tenuous at best. What was clear to me as I read is that this book, while meritorious in some ways, was not at all meant for every reader. There is certain exclusivity to the plot—surely understood by those more familiar with the cosmopolitan and corporate world. 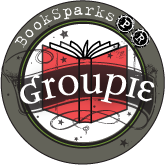 But for the average reader (like me)—I felt as though there was some brilliance under the surface, but it was not brought out in a way that I could enjoy and understand. My biggest issue is not even the esoteric nature of the plot. It was the huge swatches of exposition—pages and pages in a row— that failed to interest me or develop more fondness for the characters. This writing flaw made me like the book less and less as the pages went by. The Book of Jonah is not a fast read by any stretch of the imagination. There are flashes of greatness here, but clearly The Book of Jonah was not meant for every reader.